Summer is just around the corner, and if you're looking to invest in a pair of quality headphones for your upcoming travels, then you've come to the right place. Walmart has the best-selling Beats Solo3 headphones on sale for $224.95. That's a $75 discount and the best price we've seen for the wireless headphones. The Beats Solo3 offers an impressive 40 hours of battery life and can recharge in just five minutes for an additional three hours of playback time. 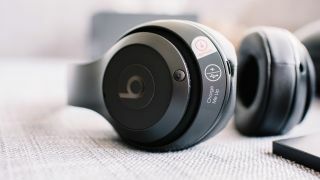 The Beats headphones offer Bluetooth connectivity so you can wirelessly connect to your smartphone to play your favorite tunes. The Solo3 headphones also feature Apple W1 technology so you can seamlessly pair all of you Apple devices. The wireless headphones feature cushioned ear cups for all-day comfort and delivery excellent sound quality with premium clarity and balance. While the $224 price tag might still seem like a lot, Beats headphones are known for their quality and comfort and rarely get significant price cut. We aren't sure how long Walmart will have the Solo3 headphones on sale, so you should make sure to take advantage while you can. If you're looking for in-ear headphones, Amazon has the BeatsX earphones on sale for $99.99. That's a $20 discount and the best price we've seen for earbuds that offer 8 hours of battery life. See more headphone deals with the best cheap wireless headphone deals and sales that are currently available. You can also shop more Beats deals with the cheapest Beats headphone prices, sales and deals.